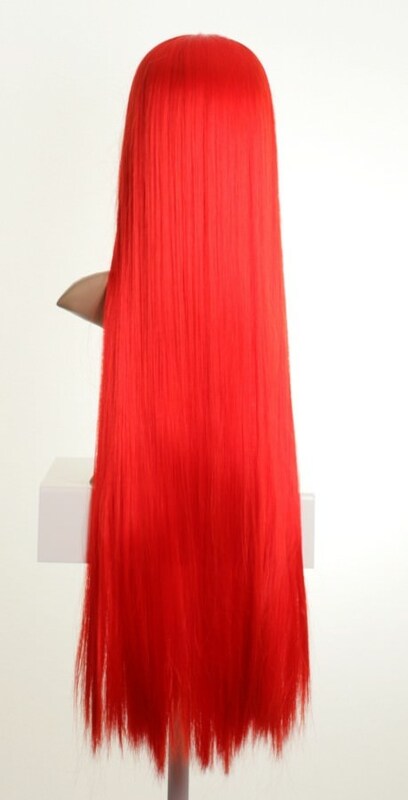 This stunning extra long cosplay style wig has a trendy sweeping fringe, and is a striking bright red shade. In a classic cosplay style this will go perfectly with your anime costume to finish off your look. 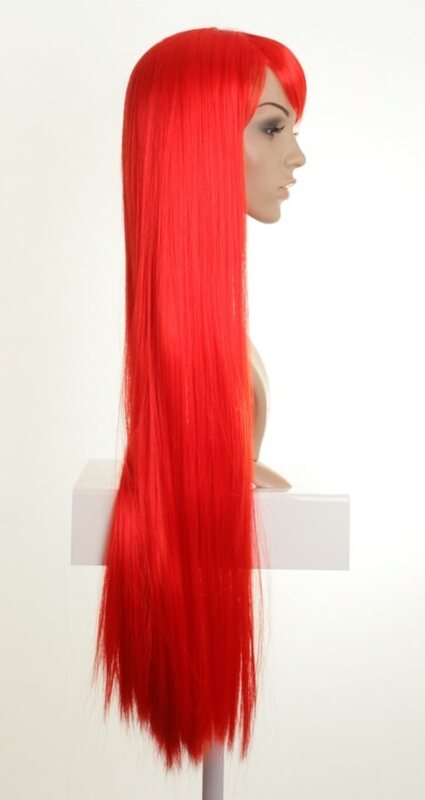 Browse our Other Coloured Wigs section for more red wigs. This wig is made of 100% kanekalon. Kanekalon is a high quality synthetic hair, it is soft, silky and looks and feels like real hair.